The Kray Twins, Ronnie and Reggie Kray were to become Britain's best known gangsters. They aimed to achieve the good life of wealth, property, cars, fame and power, through crime, particularly intimidation and extortion. In their hey day they enjoyed a dark celebrity status, brushing shoulders with many rich and famous stars including Judy Garland and Diana Dors. The Twins were born in Stene Street, Hoxton on 24 October 1933. The family moved to a small terraced house at 178 Vallance Road, Bethnal Green in 1939. The area at this time was a ghetto of gambling dens, hardened drinkers and boxing enthusiasts. The twins' schooldays were violent. It was customary for gang differences in the East End to be settled with fists, boots, and often coshes, bicycle chains, knives and various other weapons. Their elder brother, Charlie, trained the twins to fight and they got through to the finals of the London Schools' Boxing Championship three times and ending up fighting each other. Ronnie won the first two competitions and Reggie won the third. All three brothers were on the same bill in December 1951 at a middle-weight boxing championship match held at the Royal Albert Hall. Dishonourably discharged from the Army in 1952, the twins were lent some money by Charlie, to set up a snooker hall in the disused Regent Cinema, Eric Street, off the Mile End Road. At twenty one their first business was not only a success financially, but also in attracting seedy criminal clientele. Rival gangs would come looking for the Krays to see how hard they were. By 1956, the Twins' organisation had become known as ‘The Firm'; Ronnie was ‘The Colonel' and their mum's home was ‘Fort Vallance'. They opened the ‘Double R Club' in Bow Road, a popular establishment with celebrities and villains alike. The Twins hired out ‘muscle' as ‘enforcers'; their protective control over clubs, pubs and businesses spread out through Stepney to Hackney, Bow and Shoreditch. After a period in prison for grievous bodily harm Ronnie was certified insane and on 20 February 1958 he was diagnosed as being paranoid schizophrenic. In February 1960, Reggie was accidentally caught backing up a demand for protection money for which he received eighteen months imprisonment. While Reggie was in prison, Ronnie did a deal with Peter Rachman, vicariously taking charge of the fashionable ‘Esmerelder's Barn' in Wilton Place, Knightsbridge. At the same time he began flaunting his homosexuality with a quick turn over of teenage boys. When Reggie came out of prison, he fell in love with sixteen year old school girl, Frances Shea. Ronnie, always the more headstrong twin became extremely jealous of her when Reggie married her, resulting in some terrible rows between the twins. Ronnie only loved his mother, his aunts and Reggie. In 1964 the twins moved into Cedar Court, Cazenove Road in Stoke Newington. Reggie lived in the ground floor flat and Ronnie had the flat above. They controlled over thirty clubs on their manor catering for out of hours drinkers and a range of nefarious rackets earning them about half a million pounds a year. Over Christmas 1965 the Twins had a confrontation with the South London Gang, the Richardsons at the Astor Club in the West Ends Berkeley Square. This is where George Cornell is said to have referred to Ronnie as a ‘fat poofter'. While drinking heavily in his local pub, ‘The Lion' in Tapp Street, off Brady Street, Ronnie got word that Cornell was also drinking in the ‘Blind Beggar' on Whitechapel Road. Ronnie summoned one of the firms' drivers who took him to the pub where Cornell was sat on a stool drinking a light ale. The record on the juke box was the Walker Brothers - ‘The Sun Ain't Gonna Shine Anymore'. As Ronnie walked up to him, Cornell, sneeringly said ‘Well, look who's here ... ' at which point Ronnie shot him in his forehead, just above his right eye with his 9mm Mauser pistol. The needle on the juke box got stuck and it kept repeating the words ‘anymore ... anymore ...' When questioned by the police, none of the witnesses in the pub could remember anything, including the barmaid who was unable to pick out Ronnie Kray in an identification parade. Jack ‘The Hat' McVite; so called because he wore a hat to hide his baldness, was hired by Ronnie to kill a former associate, Leslie Payne. Payne kept on his guard and survived, but Ronnie didn't get his money back. Reggie went to collect, but ‘the Hat' gave a sob story that Reggie accepted. Ronnie was annoyed and subsequently made arrangements to invite ‘the Hat' to a ‘party' in the basement flat at 97 Evering Road. The Twins were waiting for him. When he barged in shouting ‘Where's all the birds and booze?' Reggie put a gun to his head, fired, but the trigger jammed. Ronnie seized him from behind and Reggie stabbed him to death. His body was disposed of professionally, reputedly to have been embedded in a flyover. Another story suggests it was disposed in a glue factory that previously occupied on part of the site of the Greenwich Dome. 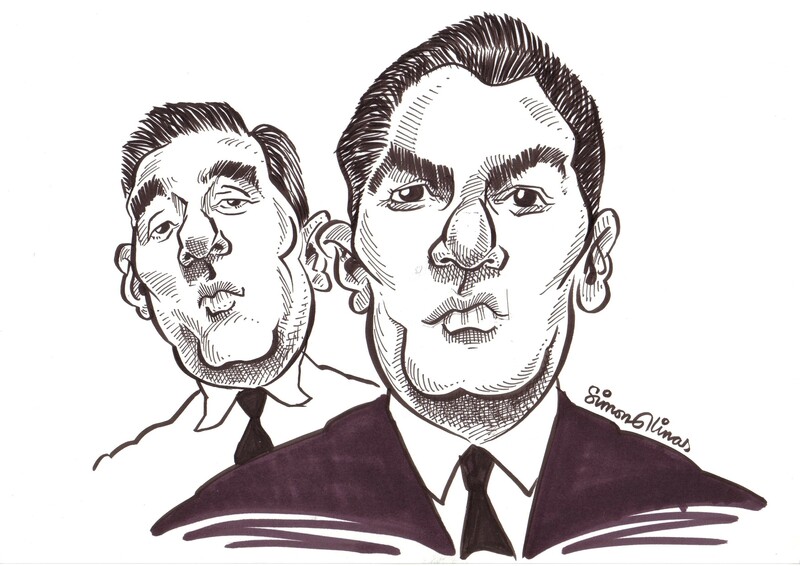 The Government of the day became concerned about the influence and power of the Krays. The murder of Jack ‘The Hat’ McVite was to be ‘one too many'. A special Scotland Yard team, headed by Detective Superintendent Leonard ‘Nipper' Read was set up to investigate the Krays and was successful with a prosecution against the Twins. At the Old Bailey, on 8 March 1969 Justice Melford Stevenson sentenced Ronnie to life in prison for shooting of George Cornell in the ‘Blind Beggar’ public house, and Reggie, also to life for stabbing to death Jack "The Hat" McVitie in the basement flat at 97 Evering Road, Stoke Newington. Ronnie died of a heart attack in Broadmoor Prison on 17 March 1995. Soon after his release from prison, Reggie died in his sleep in Norwich on 1 October 2000, after losing his battle to beat inoperable bladder cancer. At both of the funeral services for the twins, scores of thousands of spectators and mourners lined the pavements six deep in places, leading from St Matthews Church in Bethnal Green to the Chingford Mount Cemetery in Chingford, Essex. All along the route, crowds stood in silence, many with heads bowed, while many shops were shut as a sign of respect. The Kray Twins funerals have now become part of London folklore.